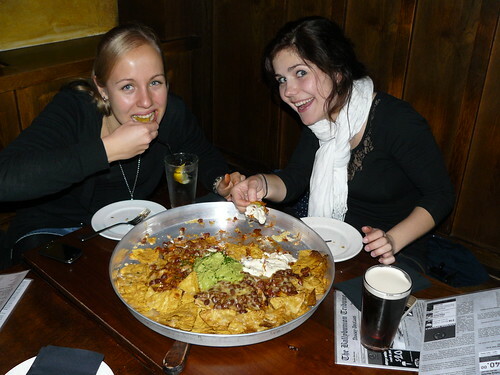 The 10th PuB NiGHT we used for a special and tried the Never Ending Nachos at Danny Doolans. Great experience! The first two of us (including me) were so hungry that we couldn’t wait and already ordered the Nachos even if were just two…but we didn’t expect that w would get a pan with 50 cm calibre. So had to start before it was cold. Little by little our big table filled up with a lot of new INTERNeX participants. The 10th PuB NiGHT was the first we send in just one PuB. Because Danny Doolans is really recommendable Pub at the famous Auckland Viaduct Harbour with its everyday Live Music, good beers and the special food offers. The Never Ending Nachos are a special offer every day from 5:00-9:00 pm. You pay just $40 and can share as much pans as you want amongst max. 8 people. Hope to see you again for my final PuB NiGHT in the last week of August…. Have a great start in a new week! This entry was posted in INTERNeX, new zealand, PuB NiGHT and tagged auckland, august, danny doolans, fun, INERNeX, live music, nachos, offer, PuB NiGHT, viaduct harbour on August 1, 2011 by ixcaroline. New in Auckland? Wanna go out and have no idea where? It’s the middle of the week, let’s celebrate it! Today I recommend the Library Bar cause they have Live Music every last Wednesday of the month. And the best is, it’s free. Last month we had been there on our INTERNeX PuB NiGHT, but we missed the music. So make sure that you aren’t late! The event starts officially at 7:30 pm, but you can easily make your way earlier to the bar and have some nice Tapas or just enjoy the unique ambiance of the Bar. So go and have an unforgettable night at the Libraray Bar! Wish you all a wonderful rest of the week and hope to see you Friday! This entry was posted in INTERNeX, new zealand and tagged ambiance, auckland, bar, event, INTERNeX, library bar, live music, tapas, viaduct on July 27, 2011 by ixcaroline. Get ready for the jubilee of the INTERNeX New Zealand PuB NiGHT! Can’t believe that but we will already celebrate the 10th PuB NiGHT. And we take this as motive to make a special out of it. We change the location – we change the day and we increase the fun! So this PuB NiGHT will take place on Friday, 29th July and we will meet at Danny Doolans at 6 pm for having Never Ending Nachos and Live Music. Would be nice if you give a short feedback about you attendance. So come around and celebrate this 10th PuB NiGHT with a lot of friends. Can’t wait to see you all at the 10th PuB NiGHT on Friday. 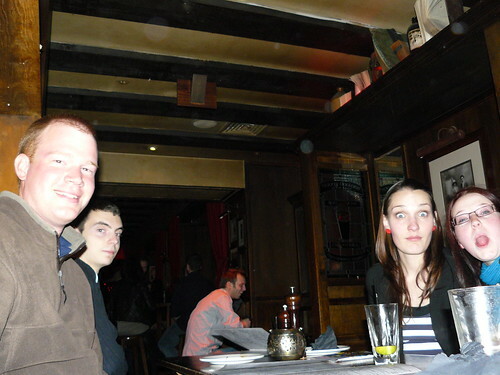 This entry was posted in INTERNeX, new zealand, PuB NiGHT and tagged auckland, danny doolans, event, friday, INTERNeX, jubilee, live music, nachos, new zealand, PuB NiGHT on July 25, 2011 by ixcaroline. Short & skimpy – weekend tips! I wish you all an exciting and funny weekend! This entry was posted in INTERNeX, new zealand and tagged auckland, christmas market, dancing, events, INTERNeX, live music, the adults, tips, weekend, winter on July 15, 2011 by ixcaroline.